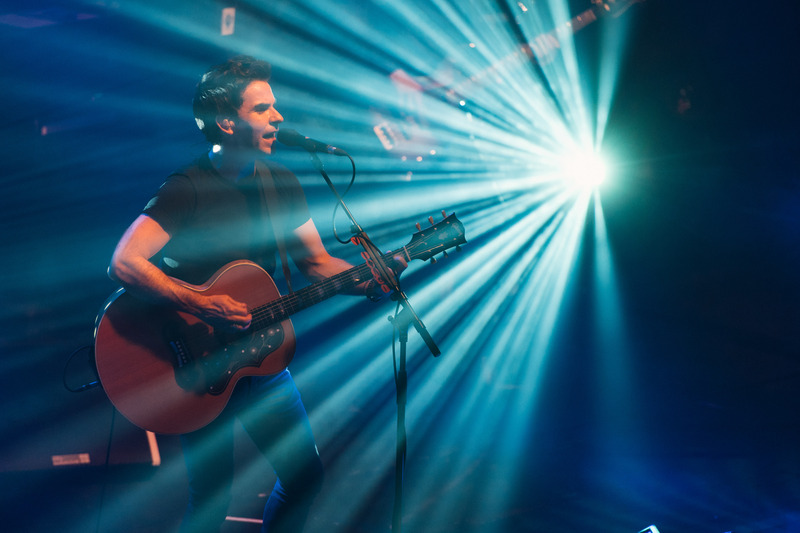 Kelly Jones told Radio X's Gordon Smart how it would feel to be "pipped to the post" by the duo. Stereophonics have narrowly missed out on scoring their seventh UK number one with their Scream Above The Sounds record. However, as the Official Charts Company have confirmed, the band's 10th studio album has become their 10th record to score a Top 10 in the charts. Despite not reaching number one, the band hit the headlines at their Cardiff gig last night, after Kelly Jones paid emotional tribute to the late Stuart Cable, who died in 2010. Playing the first ever live performance of their Before Anyone Knew Our Name track, Kelly sat on his own at the piano and told the audience: "I've never done this one before". You could hear a pin drop in the crowd, who kept silent throughout the five-minute performance, and before clapping and chanting for the drummer, who tragically lost his life seven years ago. See the crowd lead an impromptu chant of: "There's only one Stuart Cable." The band were playing the intimate gig at the University's Great Hall, in aid of Radio X's charity Global's Make Some Noise. Treating fans to an epic 26-song setlist, the band played a career spanning set which included crowd favourites such as Mr. Writer, Maybe Tomorrow, The Bartender and The Thief and Dakota.